De deuren gaan open om 19:30 uur, met een receptie op het plein. 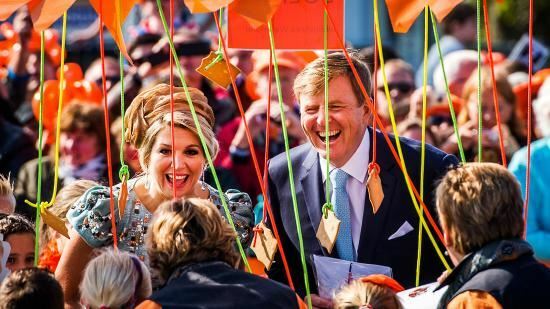 Achtergrondmuziek wordt verzorgd door het Philippe Lemm Trio waar we het glas zullen heffen ter ere van Koning Willem-Alexander. Doors open at 7.30 p.m., with a reception in the courtyard. The Philippe Lemm Trio will play background music while we raise a glass in honor of King Willem-Alexander. The reception will continue inside with Dutch snacks, a DJ, and a dance party until 11 p.m.
Due to security reasons, admission is only allowed with the confirmation email from this website in combination with a valid ID. The party is open to everyone 21 years and older.